Bonnaroo will take place June 7 - 10 in Manchester, Tennessee. 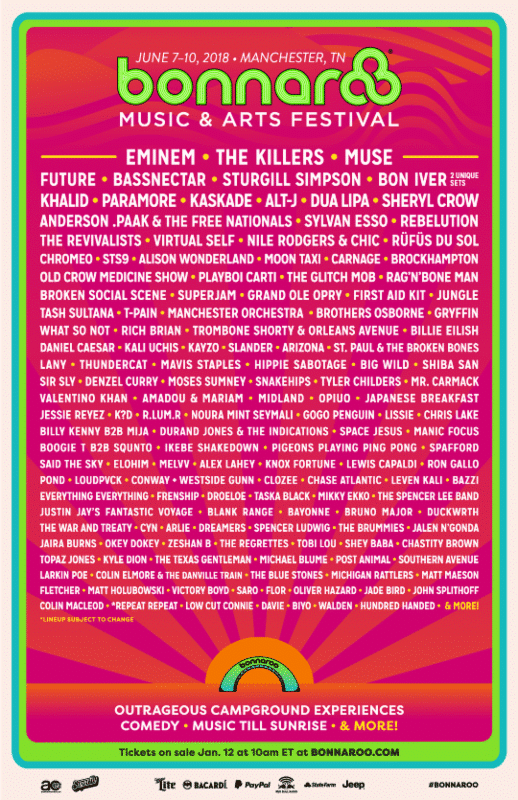 Bonnaroo unveiled its 2018 lineup Tuesday morning, and this year’s marquee acts include Eminem, The Killers, Muse, Future, Bassnectar, Sturgill Simpson, and Bon Iver. This year’s festival goes down June 7 — 10 in Manchester, Tennessee. Tickets go on sale this Friday, January 12 at 10 a.m. ET, via bonnaroo.com.